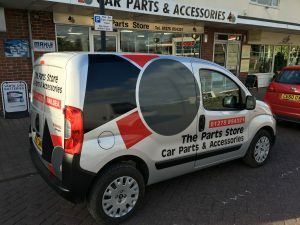 The Parts Store is well known in Nailsea and across North Somerset for personal service, quality products and expertise. 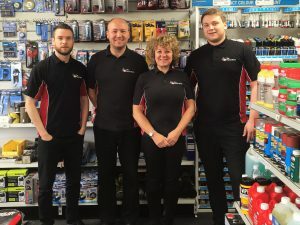 Established in 1990, and still a family owned business, The Parts Store have continued to expand and develop to meet the needs of their customers, large or small. The increasing demand for quality products from well known manufacturers has seen The Parts Store make a point of specialising in these products, in addition to carrying a stock of comparable alternatives where ever possible. With such a tremendous variety of products almost every job is different. In a world where time is money The Parts Store do everything they can to meet their customers requirements as swiftly as they arise. To respond to the needs of their customers it is imperative for all staff to have a high degree of technical expertise. For this reason The Parts Store devote considerable resources to staff training. If they don’t have the answer there and then, they will find the answer for you. Using their own fleet of delivery vans they make a point of responding to orders with impressive speed, usually dispatching goods to garages the same day, within Nailsea and surrounding North Somerset villages. 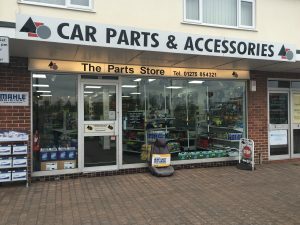 The Parts Store Nailsea – Dedicated to Service. A helpful counter service for even faster personal attention is available 7 days a week. Throughout their product range you will find quality motor supplies from the world’s leading manufacturers of motor supplies. The range of items stocked is substantial. The product range includes body fillers, abrasives, adhesives and masking products. A comprehensive range of cleaning and valeting products, including traffic film removers for steam cleaning.